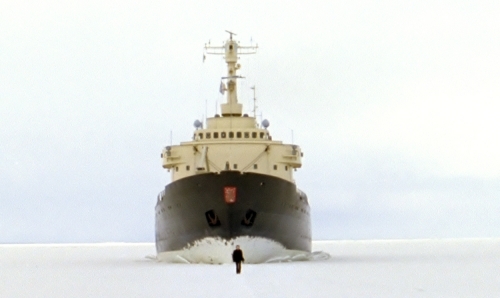 Guido van der Werve, still of nummer acht, everything is going to be alright, 2007. Duration: 10 minutes 10 seconds. Guido van der Werve’s film, nummer acht, everything is going to be alright (2007) is currently on view in “Haarlem Heroes: Other Artists,” a group exhibition at the Frans Hals Museum in Haarlem, Netherlands. The Frans Hals Museum bears the name of Haarlem’s most famous artist, but the museum is more than Frans Hals. The collection includes works by a great many other artists ranging from the 16th to 21st centuries. By creating a transhistorical relationship between contemporary works from the collection and the old masters, the museum challenges its visitors to look differently so that they see more. For more information, please visit the Frans Hals Museum's website.